When winter comes to a woman’s soul, she withdraws into her inner self, her deepest spaces. She refuses all connection, refutes all arguments that she should engage in the world. She may say she is resting, but she is more than resting: She is creating a new universe within herself, examining and breaking old patterns, destroying what should not be revived, feeding in secret what needs to thrive. Winter women are those who bring into the next cycle what should be saved. They are the deep conservators of knowledge and of power. Not for nothing did ancient peoples honor the Grandmother. In her calm deliberateness, she winters over truth, she breezes out falseheartedness. Here in the Northern Hemisphere, we are entering the in-between Winter time. Could be snow, could be a crocus. Could be 5 degrees, could be 50 degrees. This is the “quickening” of Goddess, the tremors of her seeds buried deep in Earth are preparing for Spring blooms. 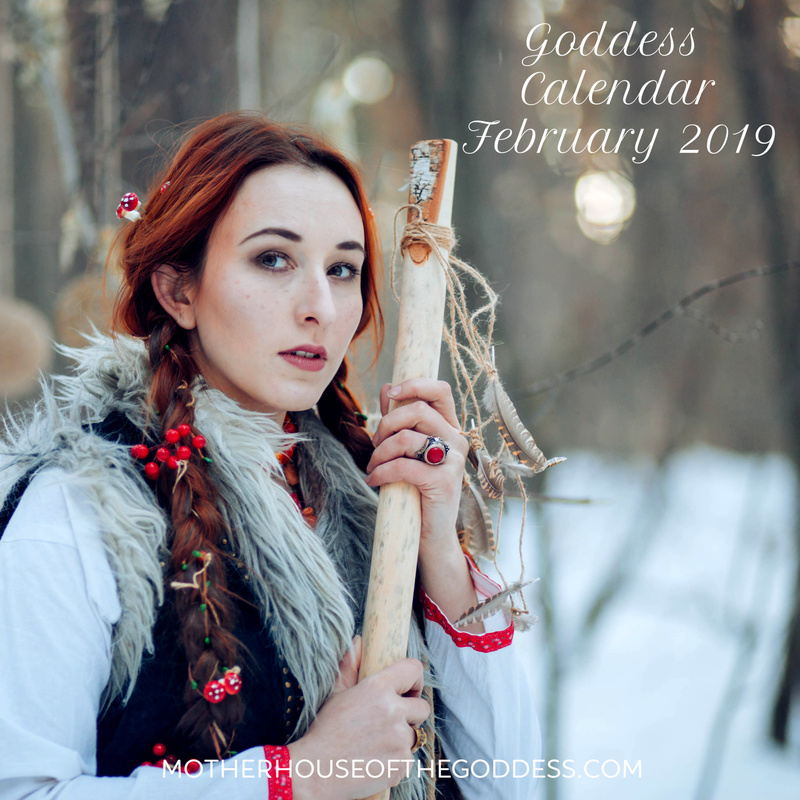 We open the month with Brigid’s Day, Imbolc, and Candlemas. HolyDays and celebrations that mark another turn on the Goddess Wheel of the Year and usher in the early Spring festivals. We begin to see the promise of Spring in the early Spring festivals like Chinese New Year, Vasant Panchami (Saraswati’s birthday), and Ganesha’s Spring celebration. New Moon in Aquarius is coming this Monday, so remember to sync with your Aquarian visions and dreams to recommit to your intentions! This moon is the first of 2019 without an eclipse (can I say PHEW?? ), and we have an opportunity to review our plans for 2019. Join me on 2/10 for a morning of Mantras and Meditation for the Goddess Saraswati, honoring her birthday. This is our first MotherHouse Goddess Temple event for 2019 and what a way to kick off our Holy Year! February may be short but it is busy! How are you welcoming the month and the whispers of Spring? Blessings of Goddess and the Season! 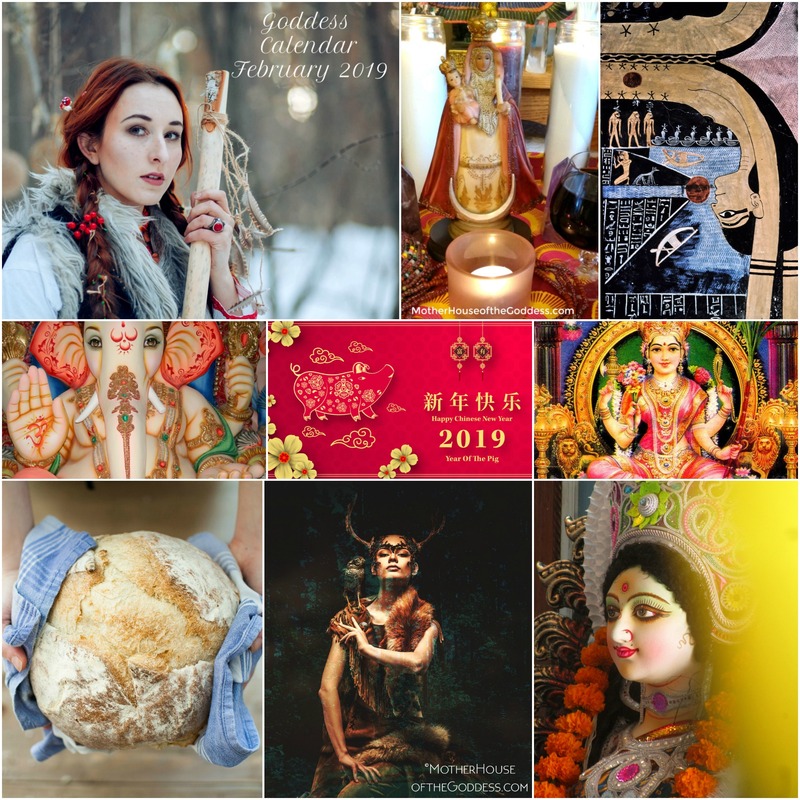 February 10, 2019 – Vasant Panchami – Happy Birthday to the Hindu Goddess Saraswati! February 19, 2019 – Lalita Jayanti – Happy Birthday to the Hindu Godddess Lalita! MYSTERY SCHOOL OF THE GODDESS is gearing up for the renewal of Spring!